Twin Beach Players presents our 1st annual New Director’s Showcase. 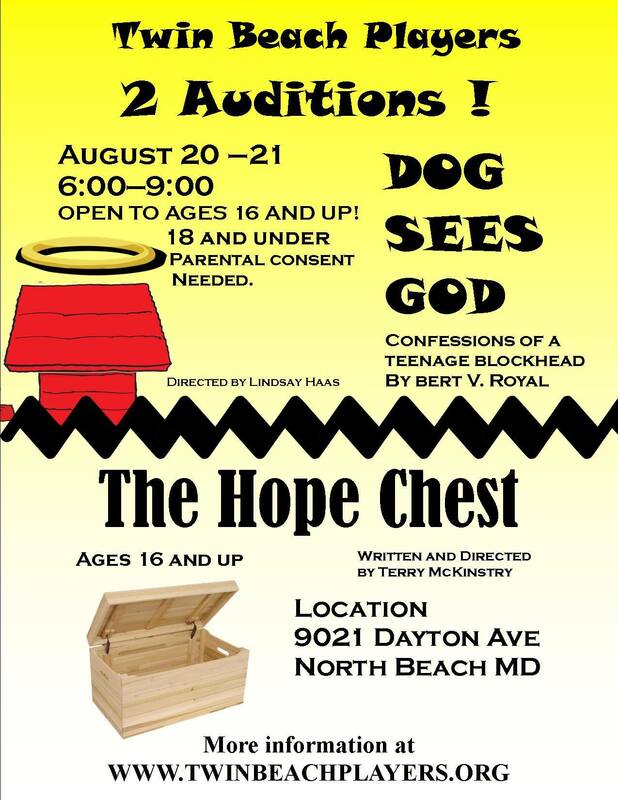 Auditions will be August 20 & 21st 6-9pm at the Boys and Girls Club 9021 Dayton Ave, North Beach MD 20714. Monday and Thursday 6:30-9:00pm at the Boys and Girls Club.